Hope Town Vernon Malone runs a great little grocery with exotic cheeses, British cookies, teas, jams as well as the best fruit selection on island. Vernon’s Grocery stocks all the necessary foods from milk and aluminum foil to coffee and peanut butter. But Vernon is famous for her freshly baked breads and delicious homemade pies. Mr. Vernon starts early each morning and makes a variety of whole wheat, Bahamian white and French bread. His chocolate silk pies are divine. 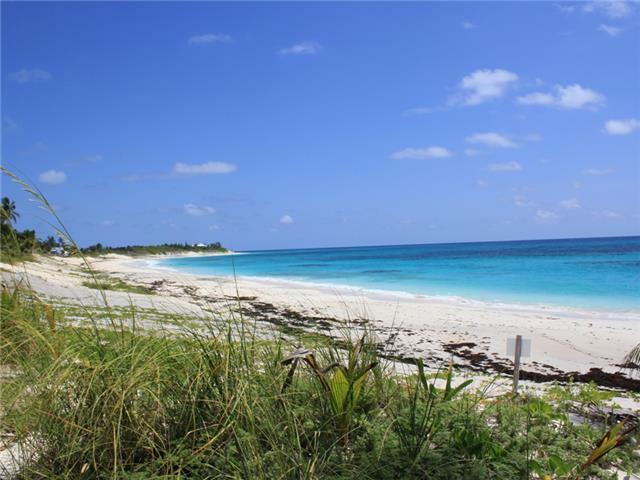 3B/2.5B (1K, 4T/2K) This upscale home is located in the North End of Elbow Cay. 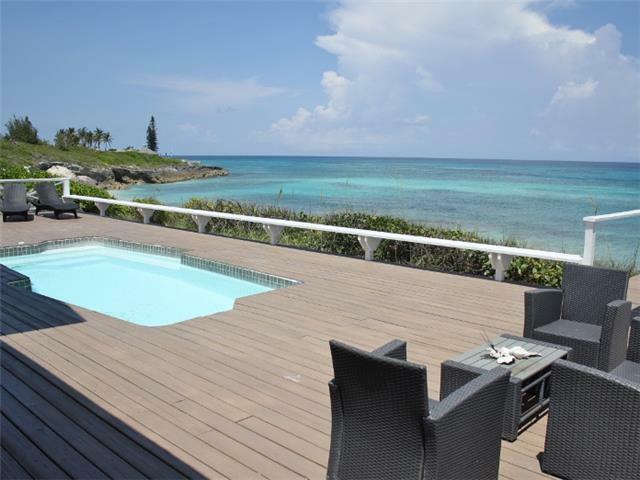 Privacy and tranquility are the order of the day at Abaco Windover. This beautiful home is nestled among a very large well manicured Feng Shui-style tropical garden. Stroll along the garden paths admiring the flora and fauna. You are bound to run across a few local inhabitants, like curly tailed lizards, soldier crabs and many local bird species. This two-story home has three large bedrooms downstairs and two full bathrooms. Master bedroom has one king bed, flat screen TV and private bathroom. Upstairs has large, well equipped kitchen with stainless steel appliances, dishwasher and breakfast bar. 2D Sleeps 4. The view of Hope Town could not be better than from Hope Town Inn & Marina…It is nestled in a garden setting right on the waters edge of the west side of the Hope Town Harbour, just a short walk to the Elbow Reef Lighthouse. Each of our six hotel rooms has a spectacular view of the Hope Town Harbour and the historic settlement. 3B/2B Sleeps 6 Max. 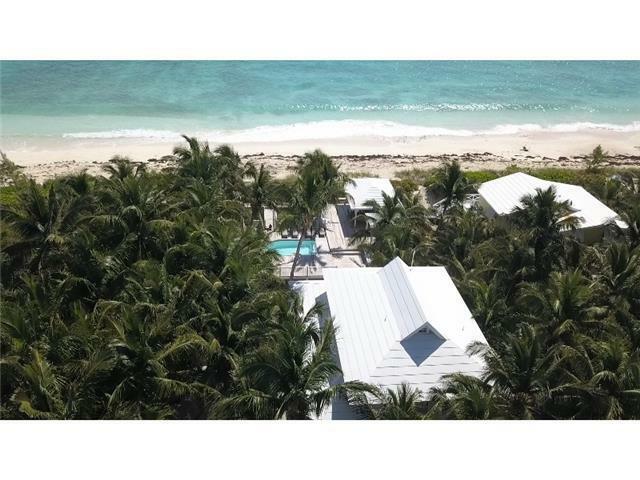 Classic beach home in the heart of Hope Town, Elbow Cay, Abaco, Bahamas. Amazing towering coconut palms and tropical gardens surround this classic house on the beach. 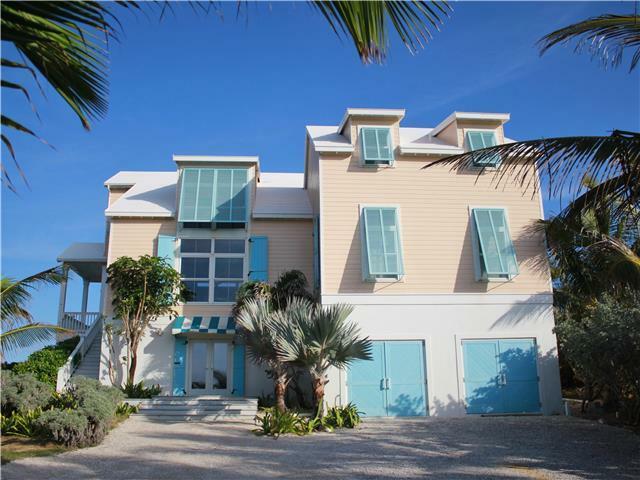 Perfect beach house with modern amenities such as generator, wifi, Flat screen TV and washer/dryer. Recently updated with new furniture, blinds and linens. This is a popular rental home and a guest favorite. Owner shares with conscientious guests who respect a historic home. Walk to all restaurants & shops. Dock at the shared Post Office dock. This house is in a wonderful location convenient to every thing Hope Town has to offer, yet retains its guests’ privacy with gardens and fences. 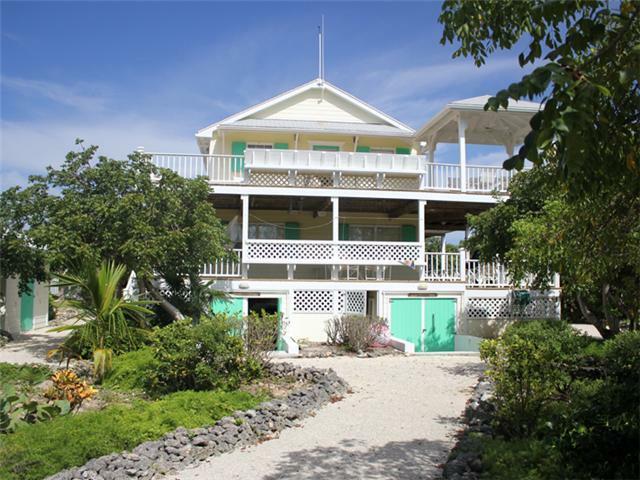 5B/4B (1K, 4Q, 1 Trundle) Beach House in Hope Town village…Sleeps 10! Two Masters. Amazing deck with pool and covered gazebo right on the ocean – perfect for your island wedding. Beach weddings are very popular here as there is room for the whole family in this classic beach house. The price is right too! 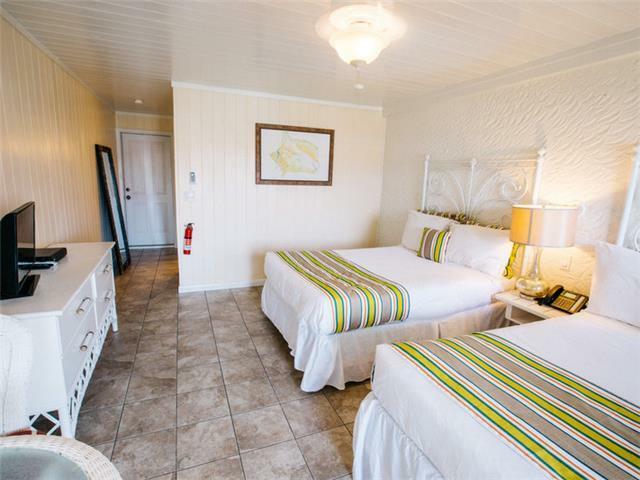 Walk to all the restaurants, shops and enjoy the amenities Hope Town has to offer while staying in a large beach house. Weekly rental rates start from $5800/wk for 1-4 ppl. Add an extra $300/wk per extra person up to 10 maximum. 4B/4B (1K, 2Q, 1 Bunk w/ 2 full beds) Sleeps 8-10. Newly renovated and professionally decorated oceanfront home in White Sound, only 10 minutes from town. Escape from the city life and hideaway in this luxury island-style home adorned with elegance from the ceiling to floor, to the furnishings and decor, and surrounded by a well-landscaped garden filled with native palm trees. Also offered for sale, click here to find out more. ***Sleeps 10 for parties with kids or singles as bunk room is most suitable for kids. 4B/3B (3K, 2T/K) Waterfront house with pool deck that wraps around back of the house for optimum views finally extending to your private dock on White Sound. 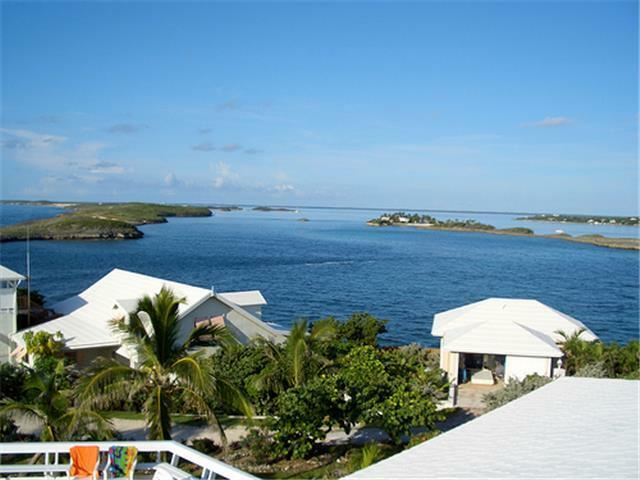 Wonderful expansive home adjacent to Abaco Inn. Perfect for a group of friends or large family as home offers 4 Bedrooms (2 Masters – 4 KINGS- 1 with option of 2 twins/King)/ 3 Baths, with private dock right in White Sound. Any size 4-5 draft – varies with moon. This 2100 sq ft home was architecturally designed to maximize views and privacy. The first Master Bedroom is split for maximum privacy on the North side of home and has great views of the water and pool deck. 3B/3.5B (1K, 1Q, 2T) Inis Mo Chroi – Wow what a house! 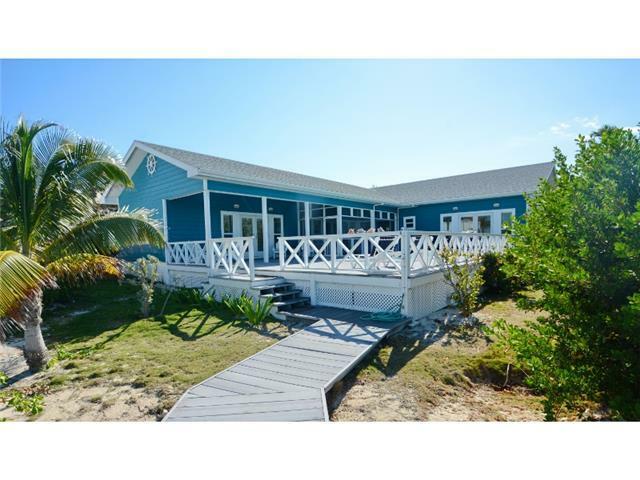 This is truly the Abaco beach house you dreamed about. 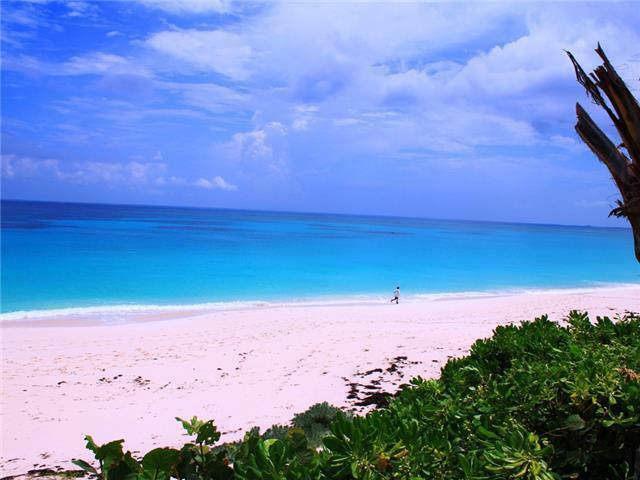 Light, airy and directly on the best beach for swimming and snorkeling. The deck hangs over the dune with a covered gazebo, path through sea oats to the Atlantic Ocean and a lovely enclosed gazebo shower with hot/cold water. 3B plus 2 Loft spaces/3B (1K, 2Q, 1 Trundle downstairs, 1 Bunk + 1 Trundle in loft) Sleeps 6-10. Modern Beach Home with all amenities. This designer Beach House offers 3 Masters and 2 children’s rooms. Double living rooms with lots of seating. Covered and open deck. Pool & Beach house with dock slip! Bonuses: Full size icemaker, watermaker for drinking water and use of laundry room! All upscale and quality furnishings. First floor includes 2 Masters each with one full bath. One Master includes trundle bed so can sleep 4 persons. Upstairs 3rd Master with King and two separate sleeping rooms perfect for children – one with bunks another with trundle. Shared bath with Master and 2nd loft living room – use as game room or kid hangout. Master suite with Queen private deck entrance. Large en suite bath with two-person tile shower. 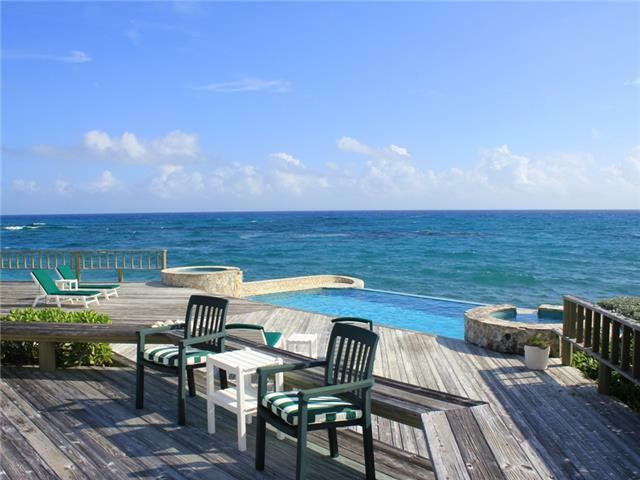 Guests rate this house’s living areas as some of the best – comfortable, roomy, overlooking pool deck & Atlantic Ocean. The dining area is adjacent to deck and seats 8 in a more formal setting. Tahiti Dock Slip – Max 28′. * Sleeps more than 6 for parties with kids. 5B/5.5B (1K, 2Q, 4T) Maximum Occupancy 10. Overlooking the Atlantic Ocean and a gorgeous stretch of beach, this elegant, spacious estate is delightfully secluded and private. A short golf cart ride brings you to the restaurants and bars in nearby Hope Town, barely a mile away. The paved private drive leads you to a beautifully landscaped compound. In the main estate house, the open living room/dining room is designed to be open to the ocean breezes and has 5 ceiling fans which cool this area well, but does not have air conditioning. It features exposed ceiling beams of stunning Abaco heart pine, hardwood floors, a flat-screen television with satellite feed, a stereo with iPod hookup, wireless internet, as well as a wet bar with an under counter refrigerator. Enjoy spectacular views of the Atlantic Ocean from almost every room and bedroom in the home through glass doors opening onto the large multilevel decks. A beautiful infinity pool and hot tub overlook the ocean. Relax in the outdoor living room’s chairs and love seats, or in hammocks and deck chairs in the separate lanai area. A meandering catwalk over the ocean-side cliffs leads you to decks that completely surround the main house and 4 private guesthouses with ensuite baths as well as a separate guest house complete with kitchenette, half bathroom, living room and entertainment areas. Private Dock up to 32′. This property is offered for sale at $6,850,000. Click here to learn more. 6B/4.5B (2K, 3Q, 2T, Sofa bed & Bunks) Sleeps 12-16 max with kids. Newly renovated bathrooms, outdoor bar and more. This beautiful and expansive holiday retreat sits on a corner acre on the southern tip of Elbow Cay in the Tahiti Beach area overlooking Tilloo Cut inlet and the string of islands to the south. This gracious home is fully air-conditioned and offers the perfect floor plan. The pod design allows couples (or extended families with children) to enjoy their holiday with an abundance of space. Tahiti Dock Slip for one vessel – Max 30′. Larger groups with more than one vessel should secure a slip at nearby Sea Spray Marina for a nominal fee. In Hope Town Vernon Malone runs a great little grocery with exotic cheeses, British cookies, teas, jams as well as the best fruit selection on island. Vernon’s Grocery stocks all the necessary foods from milk and aluminum foil to coffee and peanut butter. But Vernon is famous for her freshly baked breads and delicious homemade pies. Mr. Vernon starts early each morning and makes a variety of whole wheat, Bahamian white and French bread. His chocolate silk pies are divine. The homemade Bahamian coconut pie is grated from fresh coconuts and is more like a toasty giant macaroon than the normal custardy overly sweet coconut cream pies. 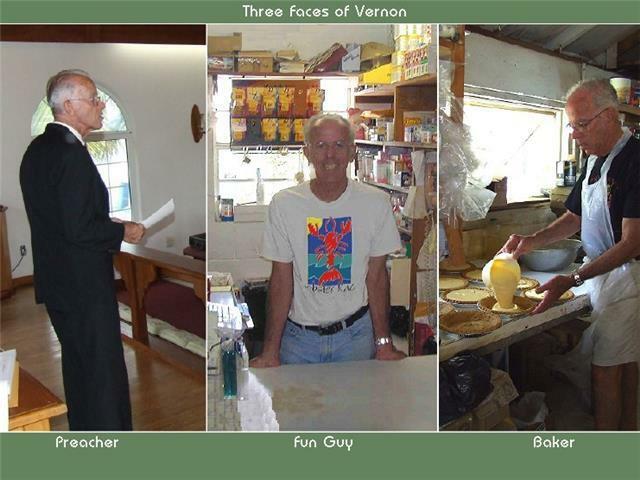 Vernon and Vernon’s Grocery is famous for his key lime pie. Don’t forget to go early to make sure Vernon does not sell out of his fresh breads, buns, dinner rolls, pies and cookies from Vernon’s Grocery Store. You can also may order your pies’ ahead of time to ensure you don’t miss out. Vernon’s motto, "Let them eat pie!"